At 7pm on Saturday, May 17th the man and I walked into my fave Vancouver coffee place, Matchstick Coffee, and picked up a glass of prosecco. 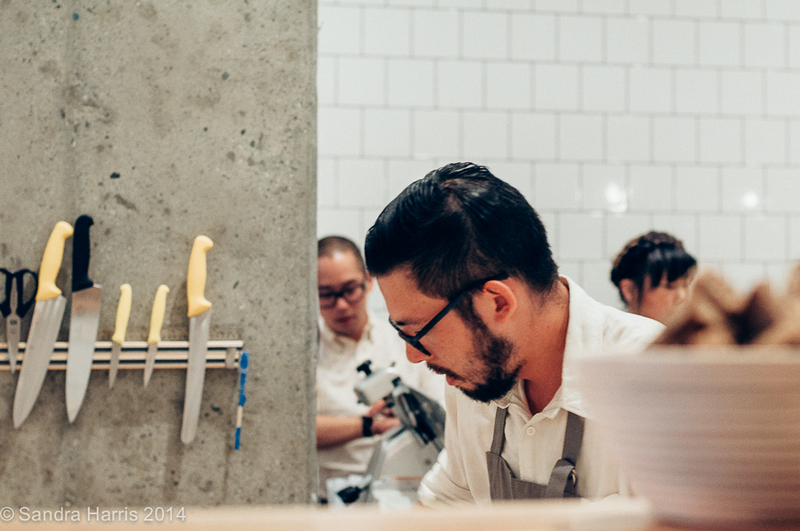 We were there for the Kinfolk Gathering 2014 dinner, co-hosted by Victory Gardens. It was one of 20 similar dinners hosted around the world. I didn't know what to expect. I've read Kinfolk Magazine off and on since it was first published (we've all been influenced by its aesthetic, right?) 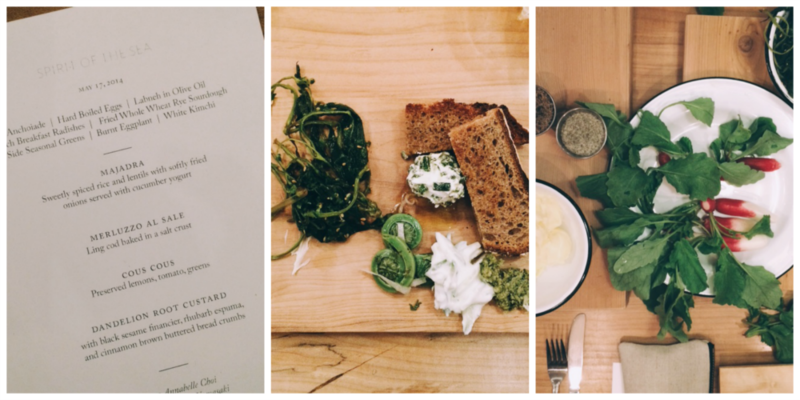 so I knew that the styling would be gorgeous and that the food would be fabulous. 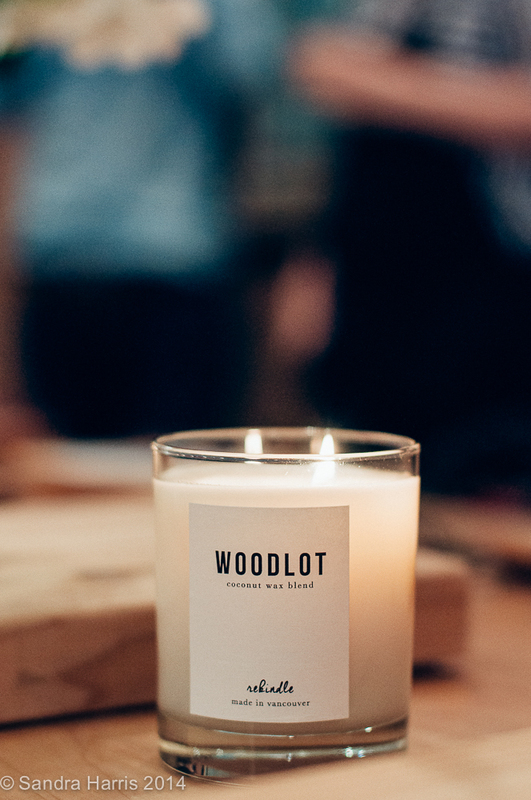 Woodlot's coconut wax candles were placed throughout the space. 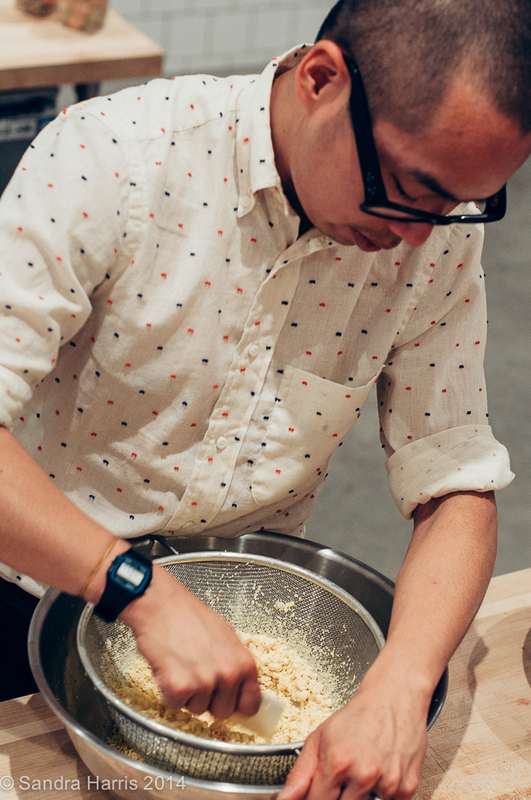 The food was designed and prepared by Matchstick chef Annabelle Choi and pop-up dinner producer Ken Tsui. It was a fusion of spring and salt and mediterranean techniques and flavors. 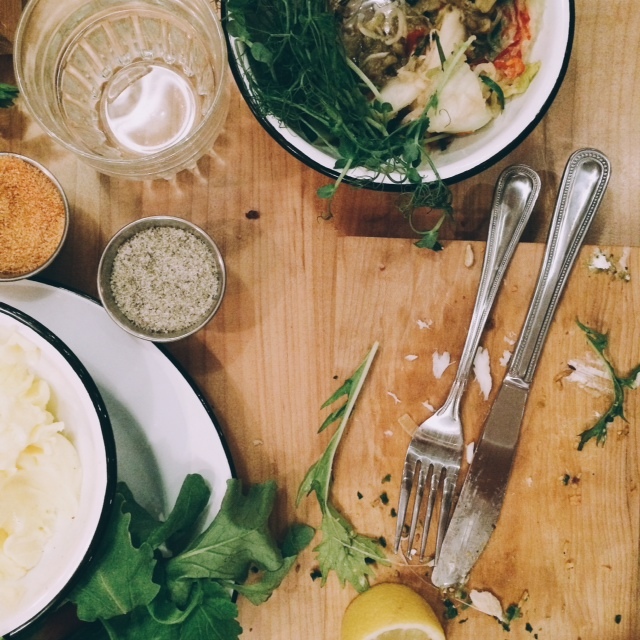 I'll be recreating many of these dishes at home. It's a perfect location for a dinner. The kitchen is open to the restaurant so you get to see the food being made. Harmony Pacific Projects did an excellent job renovating the space. Everything was served family-style to encourage conversation. I had no idea about who would attend. Some who I expected to be there weren't and most others were new to me. Great conversation. Interesting people. Zero pretension. 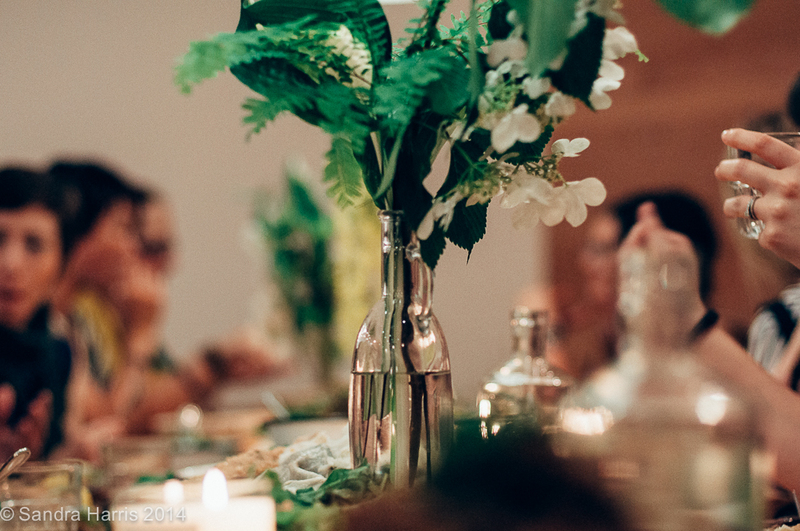 The wooden plates were our "party favors". They thought of everything - the last stop at the end of the evening was a kosher salt/warm water washing station by the front door. Great food, good conversation, lovely decor - it surpassed my expectations. I'd go again.